The developer team of Ragnarok M Eternal Love has started a wave of banned to all players who are abusing the game; this is after the controversy about the use of a Third-Party Cheating Program. However, banned players are complaining why they received a suspension even though they’re not using the Third-Party Patch Program. Some of them are pointing to the non-endorsed emulators like the Bluestacks CN 3 as the culprit of the ban. 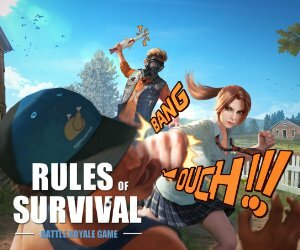 Many players are misinformed with the contradicting answers from the in-game customer support as there is two version of the responses; One is discouring Bluestacks CN because it is bannable, the other one is any emulator is allowed as long as player does not use illegal 3rd party program. The dev recently implemented a file-verifier that will check for any modification in the game to fight against the Third-Party Cheating program; this includes the patches that translate in-game content and the patches that track ET MVP and Mini Monsters which modifies the game files. Other Cleaner app or Utility program that usually optimizes the content of apps or games, may also modify the game files. APK from third-party mirror website, be careful of downloading APK from these websites as most of the APK files hosted on these sites are modded APK, which may contain sideloaded apps or modified game files. They also banned players who are using Macro program, where players can record clicks to auto-pilot the game; and for multiple accounts. The dev can detect unusual mouse click activity from your account which will trigger the ban. Players who are caught using this will get an account suspension including the other account they’re using (slaves account). Players who refund their in-game purchase will get temporarily banned, and they can appeal by paying the refunded amount they initiated. However, players who received a gift from other Refund players will get ban as well, but there will be no option for re-payment. Toxic Behavior, If you’re trash talking in the Global chat or making an inappropriate conversation with other players, you could also get a banned! Other players can report you and the support can verify this by checking their log for your toxic behavior. Why Bluestacks CN 3 Emulator is not Bannable? There is a misconception that Bluestacks CN 3 modify the files of the game to achieve the 60fps, but the truth is it does not alter the game files. It does not also explicitly optimize the Ragnarok M Eternal Love alone, it works to any 30fps locked games. Ragnarok M is not that special. OK? The 60fps feature is probably hard-coded in the kernel of the OS, similar to other gaming devices like the ROG Phone where it can unlock extra fps to any 30fps locked games. On this report, a player was banned for unknown reason. This player is a mobile user and didn’t use any emulator to play the game. He says “mobile user sir”. Basically, he is not using Bluestacks CN. The next report, this user uses Bluestacks but one of his slave accounts is using NOX macro. All of his 3 accounts are currently suspended in the game, he says “I used bluestacks and NOx macro for priest“. The suspension is probably coming from the NOX macro, affecting the rest of his account. This player was also banned for unknown reasons, he is only using his phone and no third party apps in it. He says “same here im using my phone and no any third party apps. They should know that they really need to check the account and explain how they got to conclusion.”.So far, not Bluestacks or other emulator! In this post, the Original Poster (OP) got banned for an unknown reason, and he is only using a phone to play. The other user who comments was banned due to toxic chat. We’ve contacted one of the player who posted on the community that was also banned from the game, we asked him if he use Bluestacks CN. He answered “I don’t use it“. Well, it’s not Bluestacks! The next report claimed that he was banned for 7-days from using Bluestacks CN, but after digging some info; We found out he downloaded the APK from an unknown source, which probably a modded APK that may contain sideloaded apps and modified game files. The next report was suspended for unknown reason, he use Memu emulator and never top-up on the game and no refunds is initiated. Well, that’s not Bluestacks CN. The next OP was banned for an inaccurate reason, he was accused of being refunder. But the OP claimed he didn’t initiate a refund. He also plays only on mobile, not Bluestacks! This guy was also banned for an unknown reason. The OP uses mobile devices only. Not Bluestacks CN! Lastly, this guy commented and was also banned for an inaccurate reason but he uses NOX and a mobile device to play games. Not Bluestacks. The other guy who commented saying he use Bluestacks CN, that is the same guy in the other screenshot that downloaded an APK from an unknown source. So out of the ten reports, none of them are using Bluestacks CN. So its safe to say Bluestacks CN is not really the culprit of the banned. They have been banned for other reasons and not the emulators they are using. Using other emulators and the Bluestacks CN is safe, many streamers are still using this Bluestacks CN 3 for the 60fps. It will only change if the Official page will announce the prohibition of 60fps in the game. The fps in Bluestacks CN 3 is using real 60fps, not the rumored Frame Interpolation as claimed by other players. Interpolation works by combining both previous and the next frame, warping those two images to create an illusion to fill the missing frame in between. This will create a fake a smooth frames effect when playing the whole sequence. The output of a fake frame is usually blurry, similar to the example picture below. In this example video of Ragnarok M Eternal Love, it shows the exact 60 frames of a 1-second video. If you look closely, each frame shows the exact frames of the game, you can even read the text underneath the pop-up box in every single frames which is impossible to do in interpolation frame trick.